The Golden State Warriors did something in 2016 that no other team in NBA history had done before. They won 73 games in one season. They had to surpass the powerful Chicago Bulls teams of the 1990s to do so. They did it in style. Breaking the record on the very last day of the 2016 season. The Warriors broke several records this season. 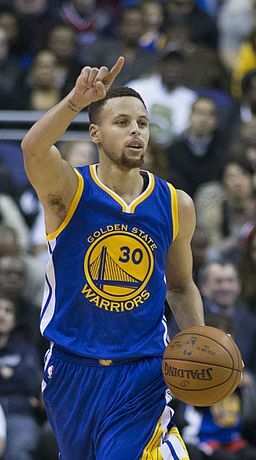 Stephen Curry became the MVP by setting the 3 point record. He ended the regular season with 402. I have seen many sports achievements, many sports milestones in my lifetime. Some that happened in my childhood I remember fondly today. I was 9 years old when a retired tennis star, Bobbie Riggs, insisted that no woman could be good enough to beat him–a man–at tennis. Boy, did that make me mad! Women could do anything they set their minds to. Isn’t that what Helen Ready’s song was all about? He challenged Margaret Court and beat her in two matches. He boasted and bragged about that win. No woman could beat Bobby Riggs. Women can’t compete with men. As a very young feminist in 3rd grade, I thought Riggs was a male chauvinist pig. After his win against Court, he started poking a stick at Billie Jean King. 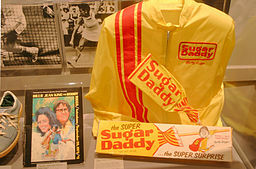 Those 1973 matches became known as the Battle of the Sexes. I proudly cheered for King. They played 3 matches and Billie Jean King won all three! We were a baseball family, involved in Little League, and supporting the green and gold of the Oakland A’s. The same year King beat Riggs, one of my favorite baseball players, Hank Aaron, was chasing Babe Ruth’s career home run record. He didn’t make it in ’73, but on the 8th of April 1974, against one of my second favorite team (the Dodgers), Aaron unloaded home run number 715. I don’t remember the game being televised, but I remember there being a news break. My family sitting together in our cramped living room watching as Aaron rounded the bases. It was awesome! No, wait, it was the 70s…it was groovy! You can see Aaron hit his historic home run in this video from MLB. Remember the two fans running out to congratulate him? I’m glad they weren’t streaking! As a Golden State Warriors fan, I’ll have great memories of the 73 wins even if they didn’t win the championship. You can add the names Stephen Curry, Klay Thompson, and Draymond Green next to the names Wilt “The Stilt” Chamberlain, Nate Thurmond, and Rick Barry. And, I bet some day you’ll also add them alongside Michael Jordan and Scotty Pippen. But, they’re a long way off from legend status. This is a young team with many good years ahead of them. With the addition of superstar, Kevin Durant, who knows what they will achieve. For now the fans will soak in this historic season. I bet, just like me, some kid followed the season with stars in their eyes and posters on their wall. They watched that final game of the season and they dreamed of the amazing things they, too, might accomplish some day. Some day they may be the one breaking records. What Sports Legends Did Our Ancestors Admire? I wonder what athletes and athletic achievements my ancestors talked about? Did they share the news of Jesse Owens at the Olympics? How about the feats of Babe Ruth? Or, maybe it was Babe Zacharias? I know that my paternal grandfather was a big baseball fan. His was nicknamed Bohne after his favorite player, Sam Bohne. Bohne was born in San Francisco and played professional baseball from 1916-1926. He was on the Oakland Oaks in 1919 the favorite team of so many folks in Oakland, California. What sporting achievement do you remember from your childhood?